"The Life and the Legacy"
Superintendent, Walter Clark, Sr. and Dr. Andrew D. Clark, Sr.
"I heard the voice of the Lord, saying, whom shall I send, and who will go for us? Deacon right here at 12002 Ashbury Road under the leadership of the Late Superintendent E. T. Parker Sr. In 1961, he accepted his call to the ministry. 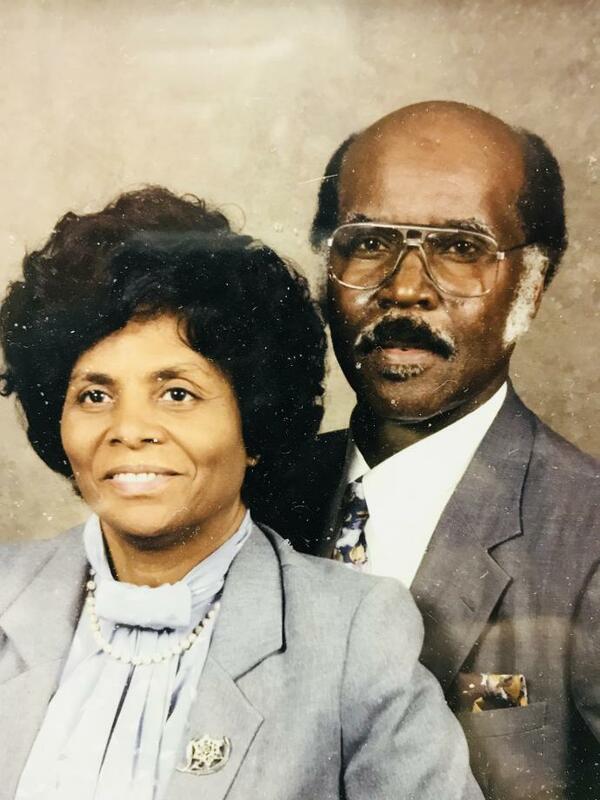 Since this beginning, Deacon Walter Clark supported his pastor with diligence until the late 1960s, when he was commissioned to pastor his first church in Kent, Ohio. In the early 1970s, it was decided that he would start a new fellowship in Cleveland which was to be named Clark Chapel C.O.G.I.C. 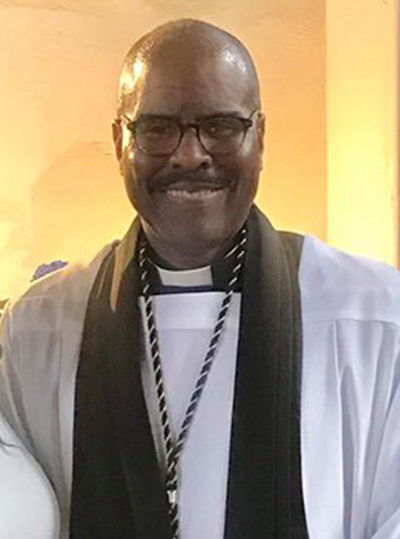 Because of the ongoing relationship with the place he called "home on Ashbury", on January 1, 1995, Walter Clark returned to 12002 Ashbury Road as the new elected Pastor. He was not alone as his congregation joined together as a caravan of cars, vans and a 42 passenger bus to return to his home church where he would serve out his call to ministry. The name of this assembly was changed to "Trinity Outreach Ministries" having a motto, "It takes team work to make the dream work." On April 2, 2003, Supt. Walter Clark was promoted into the realm of eternity with our Lord and Savior, Jesus Christ. April 12, 2003, a preacher was commissioned to carry on the mission started by Supt. Walter Clark, by the name of Elder Andrew Clark, Sr. while under the Jurisdictional leadership of Bishop F.E. Perry. He was also assigned to lead the “Cleveland Now” district as the new superintendent. This man was the youngest son of the late Supt. Walter Clark, Sr. Elder Andrew Clark accepted the charge and has taken this assembly "To Another Level". He is innovative, cutting edge, creative, resourceful and goal oriented when it comes to mission work, serving the community and promoting growth within the church on every level. He is a graduate from the University of Cincinnati with a Bachelor’s degree in Political Science. After obtaining his trial-based doctorate in “knee-ology” he pressed forward to receive his collegiate Doctorate from the North Carolina College of Theology in June of 2013. Because his lifestyle, counsel and practices are based from the Holy Bible, he continues to encourage his followers to study and live by God’s Word as our lives as believers will entail many unscheduled tests of faith. We are blessed to have had a ram in the bush to carry on this ministry. Today, we follow our leader into the community as our name implies. Dr. Clark’s vision, as led by God, has resulted in the birth of Glenville Ministers in Ministries Alliance and The Federation of Ministries Network that has received acknowledgements across our nation. We are visible in this community from the playground, to the schools and area Nursing Homes. We are a small church with expanding visions. However, from the past Supt. Walter Clark, Sr. to the present Dr. Andrew Clark, Sr., we have continued to have a fellowship that feels a lot like home, where hospitality is more than a word, it is a lifestyle. Dr. Andrew Clark. Sr. has been commissioned to serve, to spread God's Word and invite others to be saved. As led by Pastor Clark, we are striving to position ourselves now to receive the fulfillment of God's Promises in our future.